WHAT SHOULD MY 2016 NEW YEAR’S RESOLUTION BE? - What About Watermelon? You are here: Home / General / WHAT SHOULD MY 2016 NEW YEAR’S RESOLUTION BE? Well, I did it. My New Year’s resolution at the beginning of this year was to prepare more meals using watermelon and I achieved my goal. 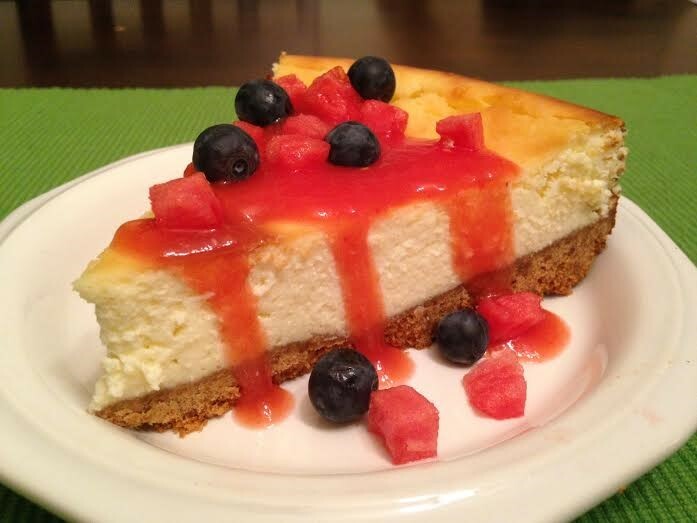 From Sweet & Sour Watermelon Chicken in January to Cheesecake with Watermelon and Blueberry Sauce in March (my personal favorite this year) to Watermelon Pizza in August. As watermelon-related resolutions go, it was definitely my most successful attempt. The list of contenders includes my 2014 resolution to compete in a watermelon eating contest, my woeful attempt in 2013 to grow my own watermelon, and my 2012 resolution about competing in a seed-spitting contest. And so, with 2016 just a few short weeks away, I’ve turned my attention to what next year’s watermelon resolution might be. I’ve got a few ideas, but I’m definitely interested in your suggestions. Leave a comment with which watermelon feat you think I should attempt in 2016 and I’ll add it to my growing list of resolutions to consider!